The Shaklee Pure Performance Team earned 10 medals – powered by Shaklee products! The performance the entire team of athletes showed is beyond remarkable. Indeed, each of these 10 medal winners fought valiantly for every centimeter, one-thousandth of a second, or goal they could scrape out…. and the Shaklee Family could not be more proud of them. Congratulations Shaklee Pure Performance Team! Go Team Shaklee! 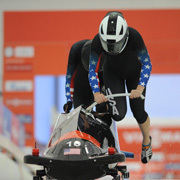 Shaklee salutes U.S. athletes for their incredible results in Sochi! Congratulations to each of our Pure Performance athletes. We are incredibly proud to be associated with this fine group of elite performers. At Shaklee we don’t just stand behind our products – we stand behind the people who use them. For over 30 years we have sponsored some of the most elite athletes in the world. Brianne McLaughlin, Women’s Ice Hockey, Silver Medal: I loved bonding with my teammates, and we’ve grown together. We made it important to be close as teammates; win lose or draw we were there supporting each other. That atmosphere is so cool to be a part of. They just do the right thing to make their contribution. Whether it was nutrition, training, etc., we are ALL in. Jordan Malone, Short Track Speed Skating, Silver Medal in 5000m Relay: We have to treat our bodies like a machine. If it doesn’t get what it needs, it won’t work. When you challenge your body it can start to break down, and recovery breaks down, and these are factors you can’t control and putting the right nutrition your body can help. Shaklee products were an instrumental part of keeping our bodies in tune. 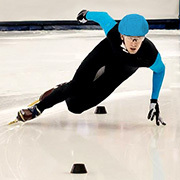 Chris Creveling, Short Track Speed Skating, Silver Medal in 5000m Relay: It was a big dream come true just making the team. A stressful, long-fought process just training for trials, making the team was almost harder than the games. Some have a lot of talent at first, but others really battle for everything. It was four years in the making. It wasn’t automatic. I was one of the top US Skaters in inline skating, but it was really tough to get comfortable on ice. It’s been really taxing; the way that I raced changed, my physical ability changed, what to expect, how to handle situations. Now I’m comfortable…finally. Brianna Decker, Women’s ice Hockey, Silver Medal: “Team first” is the mentality. We stressed it constantly in every aspect of our preparation – put everyone else before yourself. We did things like team dinners and relaxing together. We had two hour practices every day. Sometimes after the practices we just wanted to chill together; we tried to seek a balance between hard work and team chemistry. And when you build team chemistry, it’s awesome. We left feeling that we had 21 close friends for a lifetime. Want more? There are great public articles on the Health Wise blog you can share. Visit the Health Wise blog to read more about the Shaklee Pure Performance Team in Sochi 2014 and about Tracy Barnes receives United Nations UNESCO Fair Play Award – an article on Tracy Barnes’ incredibly magnanimous act of giving up her spot on the U.S. team for her twin sister, Lanny. There will be more stories from our Pure Performance Team members in upcoming reports on the blog, so check the Shaklee Health Wise blog frequently and on the Shaklee Corporation Facebook page. Shaklee Pure Performance athletes are either Distributors or dedicated users who have received compensation for their partnership and/or complimentary Shaklee products. Report Highlights Differences in Brain Health by State – US News. Fascinating article. What factors in our diet and environment affect our mental health? Is Your Health Ready to do a “180”? Are you ready to do a “180”? The best part about deciding to make a fresh start is that you can make the decision any time. Today is the beginning of your tomorrow—you need to determine what that tomorrow will be. The bad part is that making the decision does not end with just determining that it is time for a change. The decision must be accompanied by action. In other words, talk is cheap and actions speak louder than words. It’s something better to say “I’m going to start living healthier”—and—ordering your Shaklee 180 turnaround kit and actually starting the program. And through the month of May, if you order any Shaklee 180 kit, and place an order on autoship for three months, Shaklee will give you a free product of your choice with value up to $100 retail. With Shaklee’s 100% satisfaction guarantee, there is no reason to not start your “180” today. If for any reason you don’t like the product, simply contact Shaklee Corporation for your money back, no questions asked. Maybe taking “the big plunge” is a little over-the-top right now, but you know you need to do something and you’re willing to start with small steps. It is never too late to start improving your health. Shaklee Vitalizer makes your daily routine easy! You get a convenient daily strip with 5 tablets and a pearl that give you 80 essential vitamins, minerals and probiotics. Shaklee’s SMART release technology means that each component of the Vitalizer formula is designed for maximum assimilation and absorption at each stage of the body’s digestive system ensuring that your body gets exactly what is described on the box. When you order your Vitalizer on Autoship, Shaklee also gives a free membership. That means that you receive 15% off on any product you buy and an additional 10% off your Vitalizer when ordered on autoship. Cholesterol is a waxy, fat-like substance found in every cell of our bodies and in our blood. Most of your circulating cholesterol is manufactured by your liver, although diet can contribute greatly as well to the total cholesterol level. A simple blood test can measure the “good” (HDL) and “bad “cholesterol (LDL) in your blood. 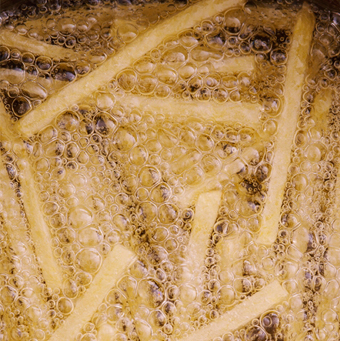 While your body needs cholesterol, many of us have too much. Hardening of the arteries occurs when plaque made from cholesterol, calcium, and fat builds up in the arteries around the heart. That increases the chance of a heart attack or stroke. People with high total cholesterol (over 200 mg/dL) have almost twice the risk of a heart attack or stroke than people with lower levels. The financial cost of high cholesterol is difficult to determine, but we do know we spend $444 billion a year on heart disease and stroke costs. It is estimated that one out of every six dollars spent on health care is spent on cardiovascular disease, which accounts for more than one-third of all U.S. deaths. An estimated 71 million (or one-third of all) adults have high cholesterol; half of them do nothing to control it. An estimated 935,000 heart attacks occur every year. An estimated 795,000 strokes occur each year. Men still have more heart attacks than women (not by much), but more women than men have strokes. What can I do to control cholesterol? There is much that you can do to help control cholesterol. 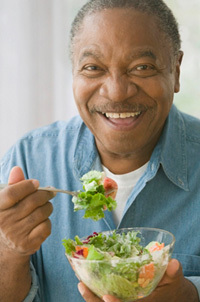 Lifestyle: Start by having your cholesterol checked regularly. Make sure you are eating a healthy diet that includes plenty of fruits and vegetables, and avoid packaged, fried, and fast food. Lose weight if you are not your ideal weight. Exercise and avoid smoking. i Baumgartner S, Mensink RP, Plat J. Plant sterols and stanols in the treatment of dyslipidemia: new insights into targets and mechanisms related to cardiovascular risk. Curr Pharm Des. 2011;17(9):922-32. PMID:21418032.
ii Estruch R, Martínez-González MA, Corella D, et al. Effects of dietary fibre intake on risk factors for cardiovascular disease in subjects at high risk. J Epidemiol Community Health. 2009 Jul;63(7):582-8. PMID: 19289389.
iii Bakhtiary A, Yassin Z, Hanachi P, et al. Effects of soy on metabolic biomarkers of cardiovascular disease in elderly women with metabolic syndrome. Arch Iran Med. 2012 Aug;15(8):462-8. PMID: 22827780. Find out about Shaklee Cholesterol Reduction Complex. We believe — and medical studies prove — that the best way to lose weight and keep it off forever is to simply keep track of the foods you eat. Gimmicky machines and fad diets don’t work, so we designed a free website and mobile apps that make calorie counting and food tracking easy. via Free Calorie Counter, Diet & Exercise Journal | MyFitnessPal.com. We believe that health isn’t just about what you put in your body, it’s about everything around you. We bring you a full line of natural and nontoxic cleaning choices that are Safe for You, Your Home, and Your Planet® called Get Clean®. Rivals or outperforms 20 national leading brands. Features Basic H2® Organic Super Cleaning Concentrate – just 1/4 tsp. makes 16oz. of all-purpose cleaner for only 3 cents. Keep 108 pounds of packaging waste from landfills. Eliminate 248 pounds of greenhouse gas. If your home is anything like the average U.S. home, you generate more than 20 pounds of household hazardous waste each year (the EPA designates toilet cleaners, tub and tile cleaners, oven cleaners, and bleach as hazardous waste). our vitamin supplements are 100% guaranteed. View the listing 12 Clinical Studies supporting Vitalizer. Get on the FastTRACK to Success in Shaklee! Do you know anyone who would like to earn up to $100,000*?